We know that symptoms of physical illnesses are caused by physical as well as psychological factors. Physical illnesses give a person pain. The reason for pain in one's life is due to physical, psychological and spiritual reasons. The first two aspects are known, however the third is relatively unknown both to medical sciences and to the average person. In fact one of the main reasons for pain in a person's life is due to spiritual reasons such as destiny. For example, a person can develop a kidney problem, which will affect him and his family members for many years giving them a certain quota of pain as per their destiny. As a result, the symptoms of our physical illnesses can be caused first hand by spiritual factors alone or spiritual factors can play a major role in aggravating the existing illness. 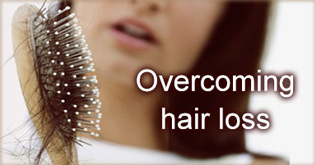 Sometimes, despite the best available treatment, patients may not respond to the treatment due to obstacles by negative energies. 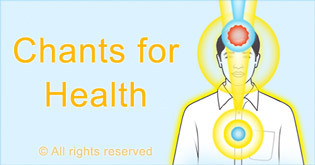 In this section, we present the spiritual research findings regarding various physical illnesses that were caused by spiritual factors, namely negative energies. We also have provided many case studies about how people overcame physical illnesses through spiritual healing and spiritual practice. In our section on spiritual causes of difficulties in life, we have explained that the root cause of problems in life (health problems included) can be physical, psychological and/or spiritual. Saints with the help of their highly active sixth sense can diagnose whether a particular symptom is caused by ghosts or departed ancestors. Spiritual research shows that problems such as eczema have their root cause in the spiritual realm and in such cases they can be completely cured only by spiritual remedies. John was suffering from eczema from the past 23 years. By chanting the Name of Lord Datta, the eczema began to reduce almost immediately. 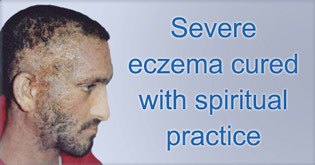 Sameer shares his journey how he overcame his severe eczema through spiritual practice. This case study is a testimony to how making a concerted effort when starting spiritual practice can have a dramatic effect on reducing stubborn life problems. In Mrs. Manasi Rajandekar’s case, the stubborn life problem was severe recurrent migraine. Aparna Gude, a pharmacy graduate from India had been plagued by chronic migraine headaches since her early teenage years. In this case study, we show how these migraines were cured by undertaking regular spiritual practice. 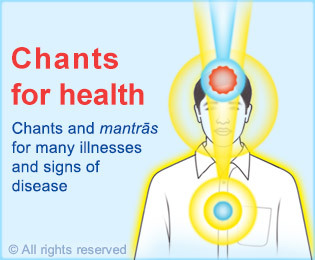 “Had I known about this spiritual healing chant earlier, I would have been spared the agony I endured all these years and would not have had to spend so much hard earned money needlessly on doctors, medicines, surgery and therapies,” says one SSRF seeker. David is an entrepreneur with a finance background who lives in Sydney, Australia. 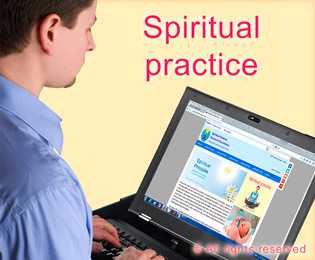 In this case study (which has been documented in Jul 2013), David narrates in his own words how spiritual practice and spiritual healing methods suggested by SSRF on its website ssrf.org helped him to overcome a serious case of inflammatory bowel disease. The following is an account in Miss Madhura’s words, of an illness, which appeared to be a physical illness that did not respond to medical treatment and how it was ultimately cured. Dr. Marathe describes how he overcame severe jaundice through spiritual remedies. The following is an account of Kedar’s asthmatic problems during his childhood years. It includes the various spiritual remedies undertaken to overcome asthma, and the positive result thereafter. The following is an account of Mr. Vatkar discussing in his own words the case history, the symptoms and the spiritual remedy that cured him. Pam suffered from severe stomach pain and menstrual bleeding for over three weeks. Medicines did not help. It was only after taking up the correct spiritual healing number chant that the pain began to subside and the excessive menstrual bleeding was alleviated. This is a case study of Anupama Rane who at the age of 20 years lost all her hair on her head suddenly and without any apparent reason. In this article Mrs. Anjali Mehta describes her physical suffering of 12 years due to symptoms of cerebral (brain) aneurysm. On starting the spiritual practice of chanting, her suffering gradually disappeared within a few months. During her exams, Shayari suffered from severe swelling that did not respond to medication. However when undertaking spiritual healing methods the swelling came down rapidly. The spiritual cause for bad odours was received as Divine Knowledge by seekers of SSRF with a highly activated sixth sense or extra-sensory perception (ESP). 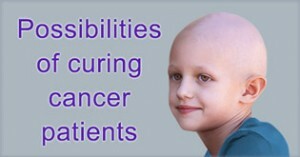 People who suffer from PATM would normally search for physical and psychological causes and treatment. They should also consider spiritual practice and spiritual healing remedies. 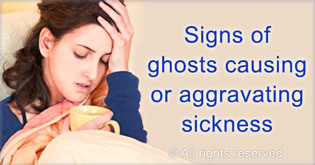 Saints can diagnose whether a particular symptom is caused by ghosts or departed ancestors. Sameer shares his journey how he over-came his severe eczema through spiritual practice. During her exams, Shayari suffered from severe swelling that did not respond to medication. Anupama Rane who at the age of 20 years lost all her hair on her head suddenly and without any apparent reason. The answer to this question requires consideration of several factors and analysis from a number of different viewpoints. The interplay between these various viewpoints is complex and no one factor can be viewed in isolation. Ms. Lara Müller describes how she overcame anorexia through spiritual treatment. 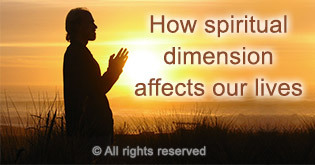 An introduction to the spiritual dimension and SSRF. 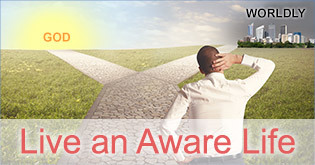 Understand how the spiritual affects every facet of our lives. 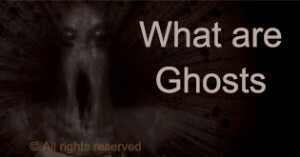 What are ghosts and how do they affect us? Due to spiritual practice our emotional state becomes more resilient and we are able to handle both positive and adverse situations calmly. Learn how to lead a spiritually pure lifestyle.